This article is co-authored by Alison Wong and Blaine McElroy. Alison Wong is a Senior Consultant in DecisionQuest’s Houston office. She has a background in both psychology and sociology, and received her JD from the University of Texas School of Law. Ms. Wong has considerable experience in research activities and her clients rely on her for strategic recommendations and storyline development. 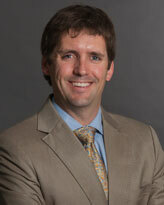 Blaine McElroy is a Research Associate, also in DecisionQuest’s Houston office. Mr. McElroy focuses on jurors’ decision pathways; the individual and group dynamics that present tactical actions or arguments used to manipulate or influence others. While hiring a jury consultant can be a budget consideration, the value is never clearer than when a client should have retained one but could not because of cost. Web Jury Consulting, through a revolutionary partnership with DecisionQuest, the largest and most respected jury consulting firm in the U.S., is bringing the valuable services of professional trial consultants to the cases of clients who would otherwise be unable to retain such expertise.